Decent Bagels in Melbourne? Fuggedaboutit! 5 and Dime is bringing a New York staple to Melbourne foodies. When we think of the Big Apple, we conjure images of towering skylines, irate taxi drivers and everyone’s favourite brunch staple – the bagel. Those who have feasted on a good, fresh bagel – the iconic snack adored by all New Yorkers – will know that good Melbourne iterations are few and far between. Until now. Since New Jersey native and former Taxi chef Zev Forman moved here some four years ago, the perfect bagel continued to elude him, and so he set out to make it himself. 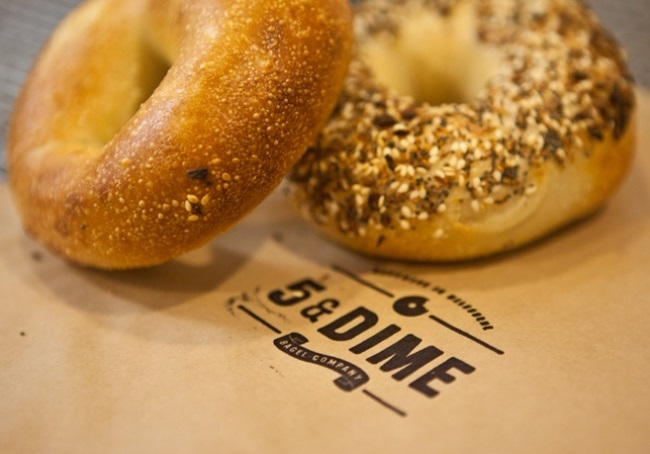 Enter 5 and Dime Bagel, his new venture coming to a farmers’ market near you. While Forman stresses his are not the “authentic, traditional” bagels one could only find in New York State, they are most certainly the real deal, and Forman has scoured the States to perfect his handmade recipe. The bagel making process is a long one, but the end result is more than worth it. Firstly, a poolish (a sponge-like fermentation starter used in all good bagels) is created and left to ferment for 24 hours before being mixed into the dough, rolled into bagels and left to cold ferment for another 24 hours. The bagels are then boiled, baked on traditional bagel boards and flipped onto the stones. The bagel types vary from ‘classic’ to ‘everything’ (garlic, onion, sesame, poppy and sea salt), are lathered in a variety of cream cheeses (including vegan and bacon flavoured) and topped with a host of goodies, from salads to salmon and capers (but of course). We can almost hear the taxis honking and sirens blaring in the background. Clare Plueckhahn’s first solo exhibition is a liquid spectacle to behold. 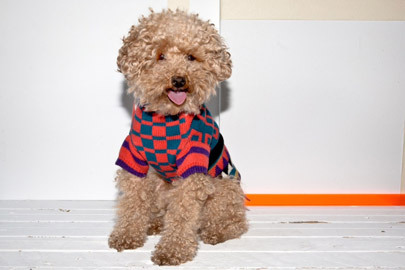 Clare Plueckhahn is a woman with some serious skills. The primarily commercial photographer and film director has spent some solid hours behind the camera, working with food, fashion and action sports for a variety of clients including Billabong, Le Tan and Rip Curl. Her latest venture, however, is of a far more personal nature. 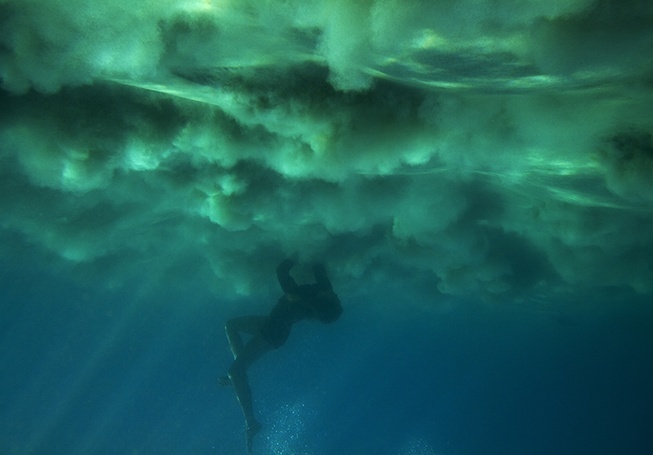 First We Fall documents humanity’s natural fear of failure through a series of dreamlike underwater stills, captured on the shores of Byron Bay. The title is especially fitting for Plueckhahn as her exhibition is one that she has always dreamt of, but has taken seven years to realise. With all prints available for purchase, the exhibition features eight large-scale photographs of surfer Taylor Miller “drowning or fighting to find a way out”, and one stunning underwater landscape. The exhibition was produced by Cos We Can, the boutique film production company Plueckhahn runs with business partner Fran Derham, which has already made a name for itself for its emotive surfing films. First We Fall, however, “is not what you would call a surfing series, but more an artistic, abstract series combining both the surf and things I love”, says Plueckhahn.